As we gear up for this summer’s exciting blockbuster production of Puccini’s incredible swansong, let’s unravel some of the mystery surrounding the names of the wonderful characters in this opera. (CLICK HERE for an overview of the plot.) 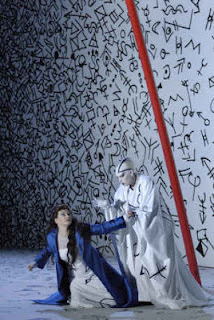 I’ll ask and (attempt to) answer a few enigmas of nomenclature here today; and keep your eyes on our Facebook page, where we plan on posting some riddles we found in Turandot’s secret riddle-cache and letting you all answer them in the weeks to come. And you don’t even have to risk your head! 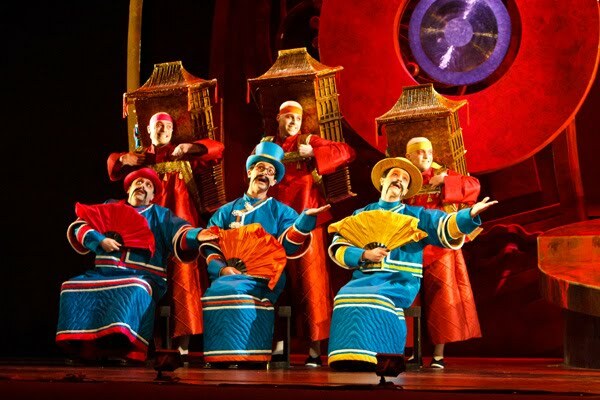 How do you pronounce “Turandot”? What’s the religion of the Unknown Prince? 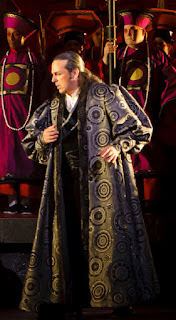 Although the real answer is “None, this opera is a fairy-tale, it doesn’t take place on Planet Earth and isn’t set in historical time,” there are nevertheless several clues indicating that Calaf is a Muslim. His name—one of the big secrets of the opera’s plot—is related to the word “Caliph,” the traditional successor to Muhammad and ruler of the Islamic world. (Historically the most significant Caliphates have been the Umayyad, the Abbasid, the Fatimid, and the Ottoman.) Furthermore, we find out in the opera that the Prince’s father, Timur, is the dethroned king of Tartary; further research (into Gozzi’s play) reveals that when he was king he ruled from the city of Astrakhan. “Timur the Lame” was a famous Muslim warlord, the self-described “Sword of Islam,” familiar to theater-goers from Christopher Marlowe’s Tamburlaine the Great or Georg Frederic Handel’s Tamerlano; the dynasty he founded, “the Timurids,” dominated much of central Asia in the 15th Century and gave rise to the Muslim Mughal Empire that controlled northern India before the advent of the British. The “Tatars,” also spelled “Tartars,” are a central Asian people, currently living in many parts of the world, primarily followers of Sunni Islam (although some are Russian Orthodox). Although it’s unclear where the opera’s fictional “Tartary” would have been, Astrakhan is an important city in modern Russia, on the Volga near where it flows into the Caspian Sea, proud of its Russian Orthodox church, mosque, Roman Catholic church, and Buddhist temple. What does Puccini’s Turandot have to do with Strauss’s Die Frau ohne Schatten? 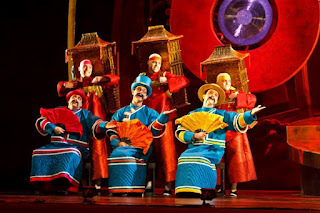 Both operas were written in the aftermath of World War I, and both fairy-tales are “Oriental fantasies”—works like Mozart’s Magic Flute, or Disney’s Aladdin, that use stereotypes of the East to entertain the West and to sidestep Western taboos. 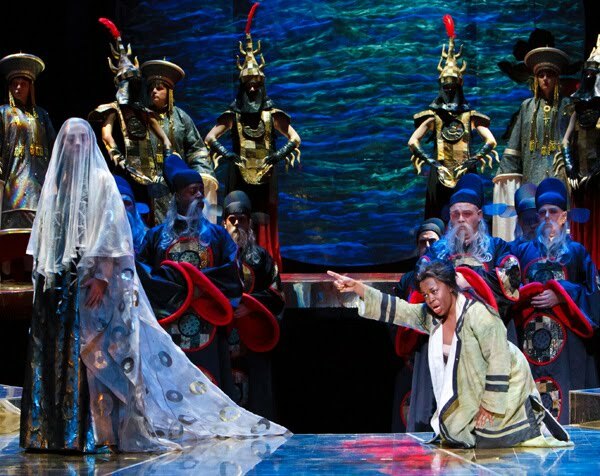 Also, for his Die Frau ohne Schatten libretto Hugo von Hofmansthal stole two names—Barak and Keikobad—not from Turandot but from Turandotte, Gozzi’s source play. Barak (spelled Barach by Gozzi) was Calaf’s former tutor, and King Keikobad (Cheicobad in Italian) was the father of Princess Adelma—who doesn’t appear in the opera. Where did Liù come from? Liù isn’t in Gozzi’s play. 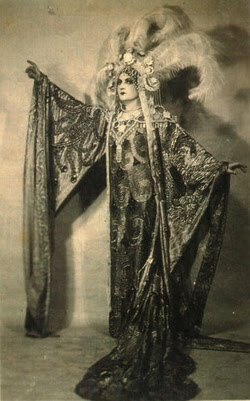 Instead, there’s Princess Adelma—who fell in love with Calaf long before the opera began, then became Turandot’s slave, and then intrigues, over the course of the play, to win the prince and her own freedom. Adelma’s squabbling with Turandot made the plot too complicated for Puccini, so he asked his librettists to replace her with the more straightforward character of Liù. This beloved soprano bears a common Chinese name, accent added to aid pronunciation in Italian. What’s the deal with Ping, Pang, and Pong? In Gozzi’s play, these clowns’ names are Pantalone, Tartaglia, Brighella, and Truffaldino, names as familiar to an Italian audience of Puccini’s day as Bugs, Elmer, Porky, and Daffy would be to us. Gozzi loved the old masks of commedia dell’arte and always included them in his plays; even if they don’t play a very large role in the plot, they’re always entertaining. And after transforming them into Ping, Pang, and Pong Puccini wrote them some truly glorious music. According to Rosa Raisa, the first Turandot, both Puccini and Toscanini pronounced "Turandot" without the final "t"
Yet according to Simonetta Puccini, Puccini's granddaughter and keeper of the Villa Puccini and Mausoleum, has stated that the final "t" must be pronounced! Simonetta Puccini never met a member of the Puccini family. Look up how came to be the Puccini heir - a fascinating story. But she is no authority on how Turandot should be pronounced. Who cares! The main thing is to be understood. Americans call it Turandoh, we call it Turandot in Britain as do the Italians.